Are you reading to your dog, man? 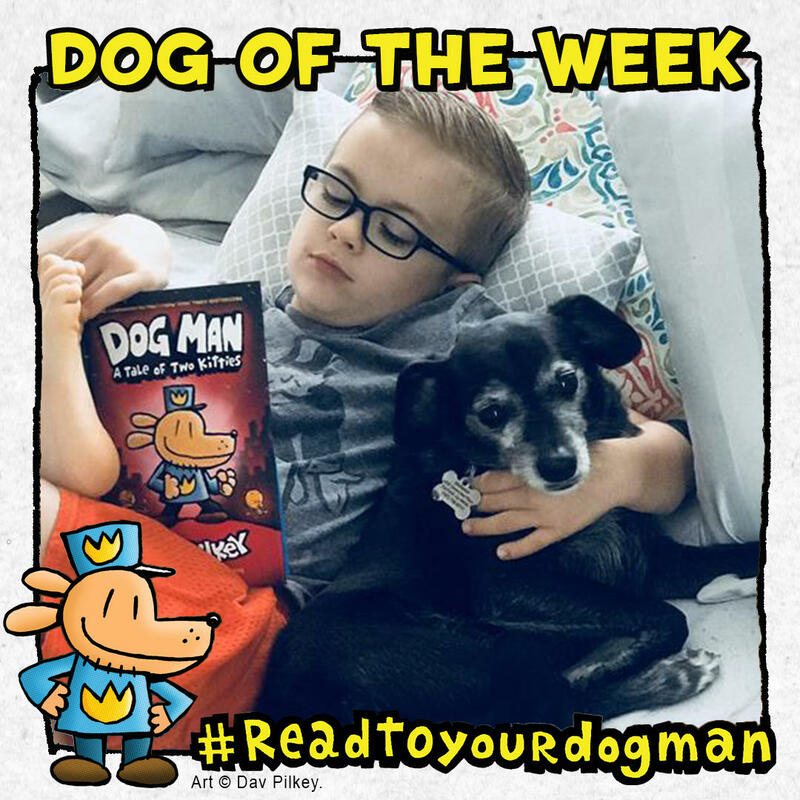 Pupload a pic or video with the #ReadToYourDogMan on Instagram or Twitter! A special message from Dav Pilkey, the worldwide bestselling author of Dog Man and Captain Underpants, about reading to your dog! Featured as Dog of the Week! Want your pup featured as Dog of the Week? Share your photos and videos below! SCHOLASTIC TM/® Scholastic Inc. DOG MAN art © Dav Pilkey. DOG MAN and related designs are trademarks and/or registered trademarks of Dav Pilkey.